Hillary Clinton The World’s Most Powerful Mother: This prestigious journal surprisingly one of his famous lists. For this occasion and celebrate Mother’s Day in America, from Forbes wanted to find out who are the 20 most powerful heads of households on the planet. 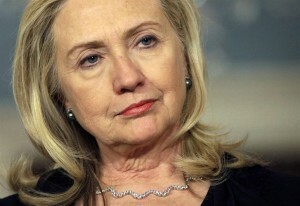 The ranking is headed by Secretary of State Hillary Clinton, who holds a prestigious number one. And is that “one of the world’s busiest jobs, Clinton is still a mother first,” written from the magazine. Second place goes to the hands of the president of Brazil, Dilma Rosseff, while the podium was closed by the CEO of PepsiCo, Indra Nooyi, 56 year old mother of two children. From Forbes suggests that mothers need to develop powerful “unique strategies” to succeed both in their professional life in the family. At number four is the COO of Facebook, Sheryl Sandberg, who says that every day you stop working at five-thirty in the evening to dine with their children. Closing the Top Five we are to co-chair of the Bill and Melinda Gates, Melinda Gates, and a step beyond, in the sixth, the Indian leader Sonia Gandhi. U.S. first lady Michelle Obama goes to the number seven and eight we see the Managing Director International Monetary Fund, Christine Lagarde. The chief executive of food group Kraft, Irene Rosenfeld, and executive director of The New York Times, Jill Abramson, close the top ten. Cristina Fernandez, the president of Argentina, ranked number 13 and finally got to our beloved Beyonce, at 14. The Nobel Peace Prize Burma, Aung San Suu Kyi, is the latest Forbes list.